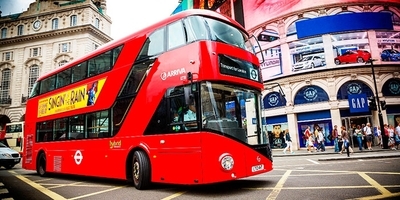 Specialist IT group SCISYS has secured work worth £2m on a project aimed at improving bus services in London through the use of emerging technology. The Chippenham-headquartered group, whose expertise spans transport, defence, media and space, is to provide software design, development and support services to Transport for London (TfL) for timetabling and scheduling as part of its Future Bus Systems programme. SCISYS won the contract from public transport IT consultancy Trapeze, which is based in the next-door building on Chippenham’s Methuen Park. SCISYS said the project would provide TfL with the software tools and capability to enable it to continue to deliver a reliable, accessible and high-quality bus network across London. The development phase of the contract will be followed by a long-term support and maintenance contract. SCISYS will be responsible for data-migration services, collaboration and document management functions to Trapeze as well as systems integration services. SCISYS, which is listed on the London Stock Exchange, employs around 550 staff across its offices in Chippenham, Bristol, Leicester and Reading and two in Germany. Its shares rose by more than 3% to 186p this morning when the TfL contract was announced.